Plumbing Ways & Contractors is a professional plumbing company that offers a full array of general and specialist plumbing services to clients across the greater Cape Town area. Whether your drain needs to be unblocked, your water pressure needs to be fixed, you need a new geyser installed, or your toilet is leaking, you can count on us – leading plumbers in Cape Town. Our services are available to residential and commercial clients. Thanks to our professional record and years of experience in the industry, clients can have complete confidence in our expertise. We pride ourselves on continuously producing the highest quality of work, no matter how big or small the plumbing emergency. As recommended plumbers in Cape Town, we go all the way when it comes to satisfying our clients! 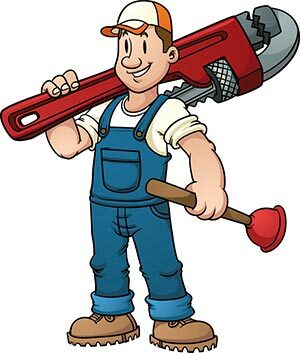 Our plumbers are always ready to offer their service and expertise to our clients – 24/7! Our team is trained and qualified, and experienced in plumbing jobs of all shapes and sizes. After contacting us, our plumbers will come to your premises to talk you through your problems and to suggest the most strategic, value-for-money solution. We offer competitive pricing, free quotations, and we have a no-fix, no-payment policy. Plumbing Ways & Contractors is a proud member of the Institute of Plumbing SA. Our services are tailored to suit our clients’ specific needs, and are delivered with love and care. We also offer extra services such as tiling, paving, painting & minor construction. Our call centre agents are eager to assist and will leave you with a smile on your face. With a team of well qualified plumbers, clients can expect fast and efficient services. An emergency can happen at any time of the day, which is why we are ever ready to assist. As one of the top plumbing companies in Cape Town, we use only the best technology and tools in the industry, thereby servicing with innovation. If you have any questions about us or our service offering, or you wish to request a quotation, please do not hesitate to contact us.